Lonely? Wish you had a cuddly little someone to share your soulless, empty halls with, and fill that cold, cavernous hole you call a heart? Faustian Biotech can help! At the Faustian Biotech Pet Fabrication Facility, our trained geneticists produce your fuzzy friend as you wait! Choose one of 243 designer personalities to produce the pet nature could never give you! 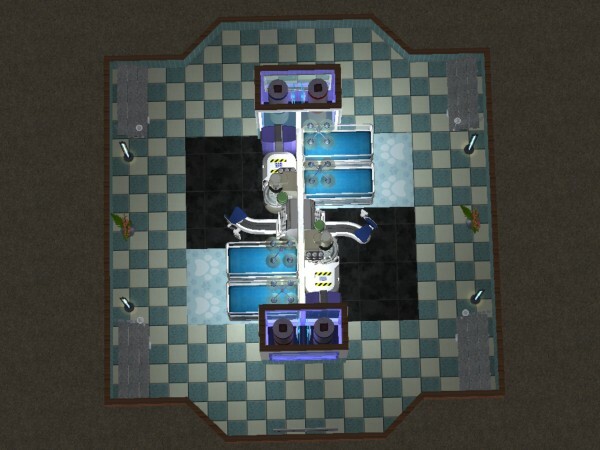 The Faustian Biotech Pet Fabrication Facility. Man's Best Friend...Made to Order. 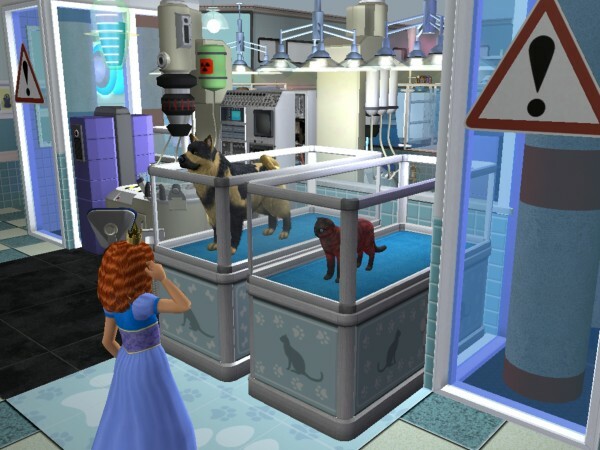 The Faustian Biotech Pet Fabrication facility is designed as an ownable Pet Store, capable of providing a variety of made-to-order pets for your sims to acquire. 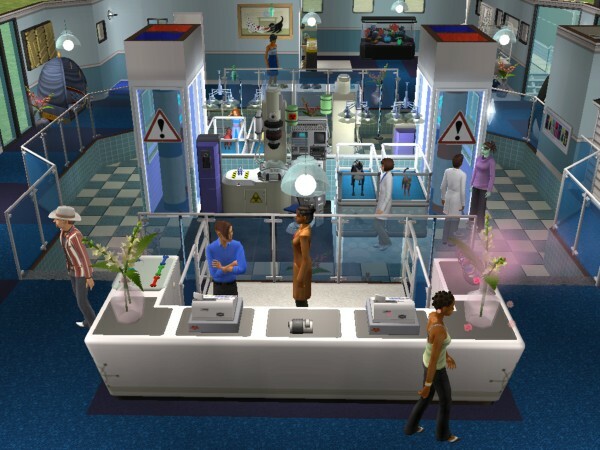 Using state of the art biotechnology, sims can go and acquire Adult or Elder pers built to their hearts' desires. If placed in an neighborhood and left unowned, Sims can purchase Cats and Large and Small dogs from the lot, as well as collars. 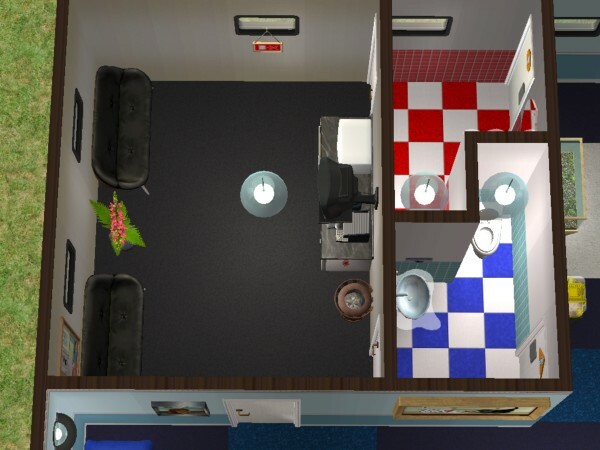 If the lot is to be left unowned, I would reccomend removing the employee lounge, and swapping out the Employee access doors to the bathrooms. 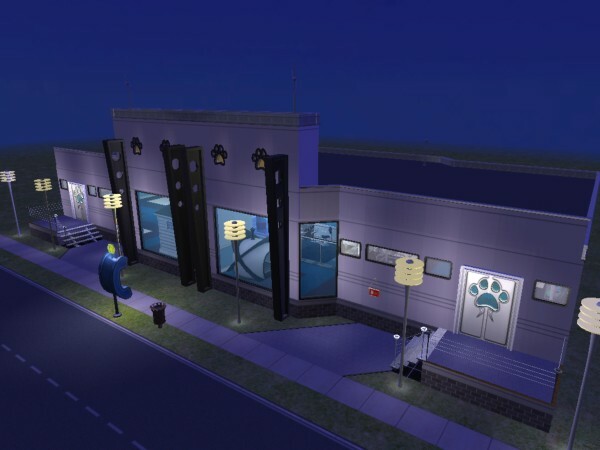 If owned by a Sim in the neighborhood, however, the lot can also sell small pets, and various other pet supplies, including Lycanthropic-B, the Lycanthropy cure. 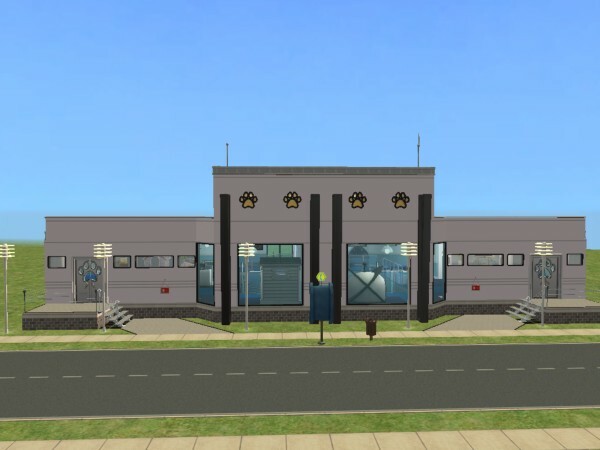 As an owned business strategy, I would reccommend concentrating on selling the $2,500 Scratchpaw Manor Pet House and the $1,500 Galactix Animal Home rather than on Pet sales, as the profit margin is larger. 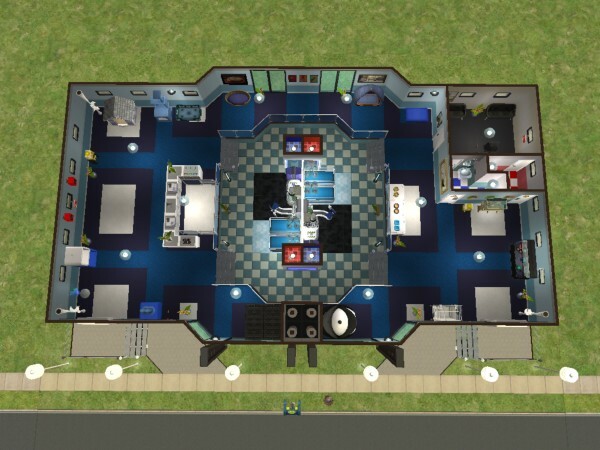 Because I am crazy, the Faustian Biotech Pet Fabrication Facility Requires all expansions through Seasons, as well as probably requiring Family Fun Stuff and Glamour Life Stuff packs.